The company chose the Indigo 7900 for its improved print quality, colour-matching capabilities and speed, enhancing productivity at its Leicestershire headquarters. The digital printing machine has joined an existing Indigo 5000 as well as a fleet of Heidelberg Speedmaster litho presses. Just prior to the Indigo 7900 arriving, the firm sold an existing B2 Speedmaster CD 74 to make space to create a dedicated room to house all of its digital equipment. Running at a maximum speed of 160ppm in enhanced productivity mode, the Indigo 7900 is capable of print in colour at a maximum resolution of 2,438dpi. “This is a six-colour machine, which supports the way that we sell ourselves with the focus on colour,” said Taylor Bloxham chief executive Robert Lockwood. “We've also got six-colour perfectors so if a customer wants a lower volume, even though with a four-colour digital printer you can play around with the colour gamuts, six-colour will give us better quality. "With this ambitious programme of investment, we now have the facilities to provide a fast and efficient digital print service that will open the door to new markets." The business has also recently ordered a Koenig & Bauer Rapida 106 litho press, which will be installed in March, while two Muller Martini finishing lines and an MBO K8 RS folder were installed last summer. The company reported its highest ever pre-tax profit of more than £940,000 last year, despite suffering a factory fire last May which impacted production. “After the combination of triumph and adversity of the last 10 months, this is the perfect way to kick-start the new year,” said Lockwood. “We are confident that the new presses and finishing equipment will help us to achieve an even better year in 2018. We are committed to continuously making investments to reduce the costs for our clients whilst maintaining the high-quality of print that we pride ourselves on,” Lockwood concluded. Taylor Bloxham's main printing wing is part of the Taylor Bloxham Group, which also includes the recently relocated FastAnt division, which focuses on areas such as storage, fulfilment and e-commerce, POS operation Instore, and direct mail division Mailbox, a new business arm launched earlier this month. 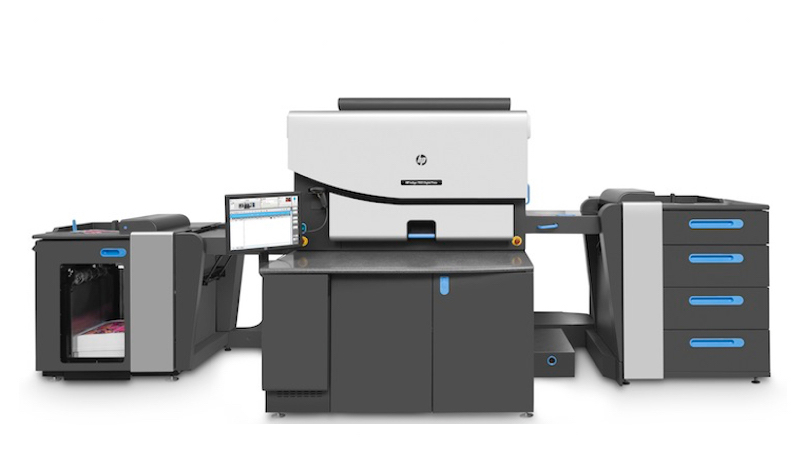 Industry members that are keen to learn more about the Indigo 7900, as well as the many other solutions on offer from HP, can visit the manufacturer at FESPA global print expo. Taking place from May 15-18 at the Messe Berlin, in Germany, the exhibition will play host to many major brands from across the global market. HP is just one of a host of industry heavyweights that will be in attendance at FESPA 2018, with visitors able to find the company at booth C20 in the sold-out Hall 3.2, alongside the likes of Canon, swissQprint, Onyx, Fotoba, Esko, Sai International or Folex, among others.